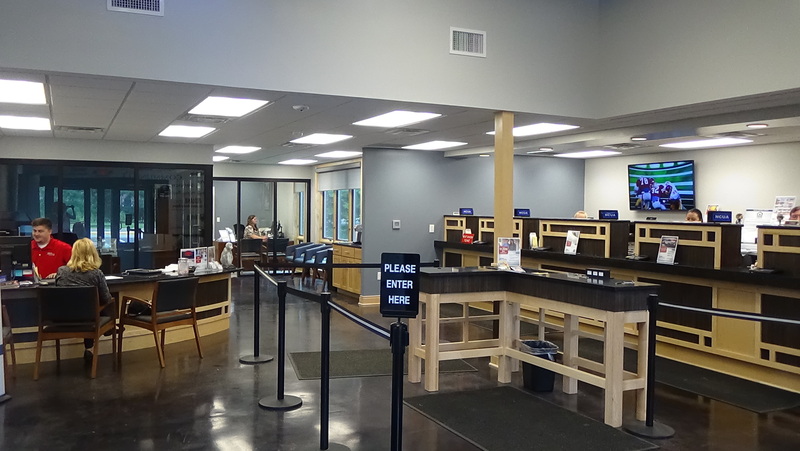 This full service, technology focused branch includes 4 additional offices, a full time mortgage loan officer, an investment planning office, updated and more spacious member lobby with a waiting area, as well as an updated teller line, a second new accounts desk, and Interactive Teller Machines in the drive up lanes. 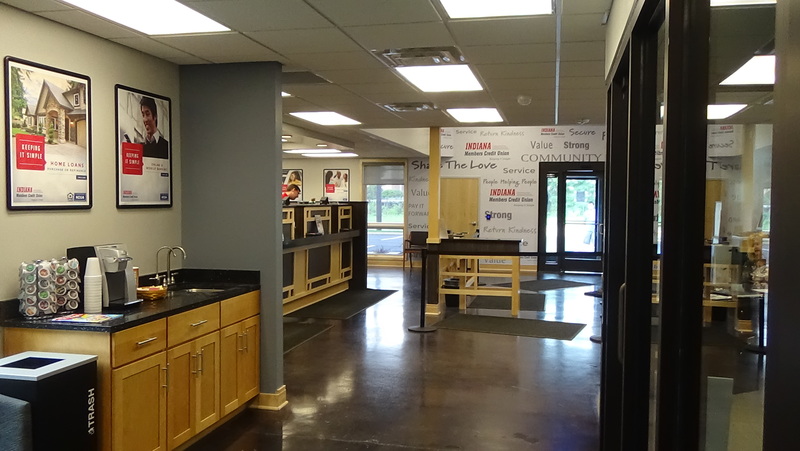 Branch hours are Monday through Thursday, 9 am-5 pm, Friday, 9 am-6 pm and Saturday, 9 am-1 pm. Drive thru hours include Monday through Friday, 8 am-7 pm, and Saturday, 9 am-1 pm. Indiana Members Credit Union, headquartered in Indianapolis, Indiana, was founded in 1956 on the campus of IUPUI. 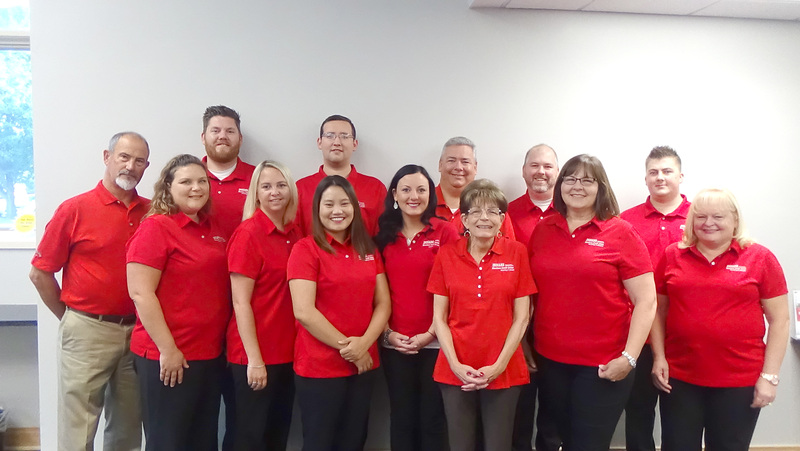 IMCU has since grown to 26 branches in Central Indiana, offering consumer and business members a better financial alternative and a full array of products and services. Traditionally offering better rates on loans and deposits, IMCU maintains true to its roots by “Keeping It Simple” for members. For more information, please visit IMCU online at www.imcu.com. *Pictured is the IMCU Greenwood Branch Staff, left to right: Terry Renick, VP Branch Operations, Stacey Lynn, ASR, Danny Collier, Business Banker, Star Brenner, Teller Supervisor, Casey Jewell, Teller, Van Mawi, Teller, Jessica Billman, ASR, John Newett, SVP Operations, Debbie Dore, Mortgage Loan Originator, Matt Smith, ASR, Mimi Bateman, AVP, Branch Manager, Erin Connerley, Asst. Teller Supervisor, Donna Smedley, Teller, and images of the newly remodeled branch.